Rain Gutters | Inner City Skyline Inc. Interested in installing rain gutters for your home in Huntington Beach, CA? Inner City Skyline your local contractors in Huntington Beach provide low cost, premium rain gutters for homeowners interested in installing new rain gutters, replacing old rain gutters, or repairing existing gutters. Our rain gutter specialists can determine costs for repairs, replacements and help you choose the right rain gutters for your home. Our rain gutter installers provide rain gutters in vinyl, aluminum and copper materials which offer benefits and disadvantages for each. 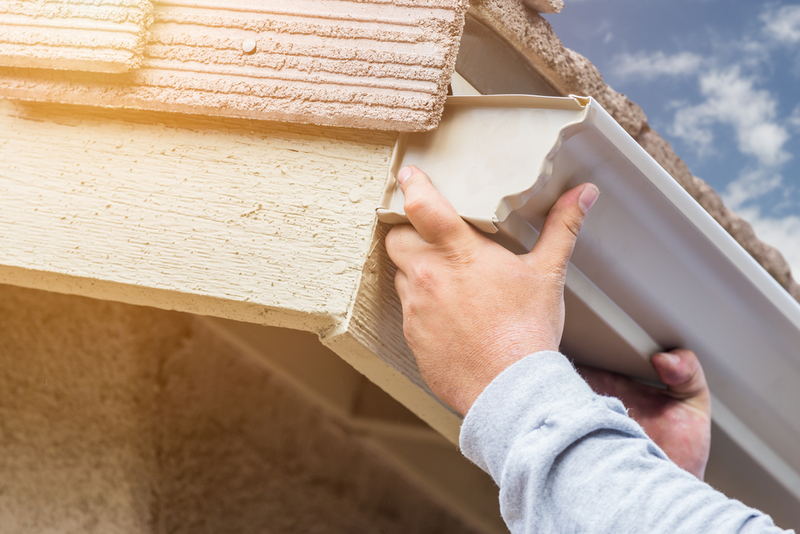 Our rain gutter experts can recommend the best material based off of your homes structure, roof and budget. Vinyl rain gutters are long lasting, simple and yet look fabulous for almost every homeowner. They come with a lifetime warranty, and help protect the roof, and the house from water damage. Copper rain gutters are one of the most premium material available for homeowners. Copper rain gutter installation are pricey, but last a lifetime and look polished and beautiful. Our rain gutter installers recommend copper rain gutters 3x more than aluminum rain gutters. Schedule your free estimate today and learn how you can save 10%! Inner City Skyline Inc. a fully established and licensed contractor, provides free estimates for rain gutter installation in Huntington Beach. Our rain gutter installers are experts at installing rain gutters. Driven by customer satisfaction, we strive for excellence and stand by our workmanship, installation and quality. As contractors, our word means everything. Schedule a free estimate and learn about our 25 years of experience, and how we can help you get the best rain gutters for the lowest price!